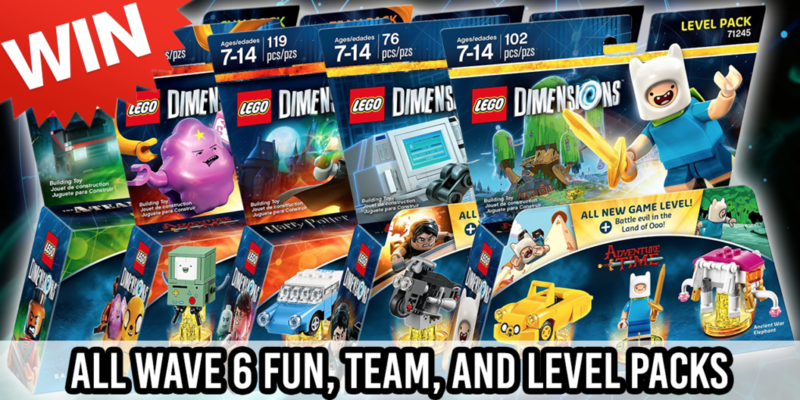 The release of LEGO Dimensions Wave 6 is fast approaching, and to celebrate I’m giving away five packs from this wave. I’ve previously given away the Ghostbusters Story Pack, so now you can win the remaining packs in one big swoop. As far as the Supergirl Starter Pack… stay tuned! So how do you win these five packs? Easy! Simply enter with the giveaway widget below or enter via the dedicated giveaway page. Remember, you can earn entries every day, so keep coming back! NOTE: The giveaway is open to residents in the United States and will be selected on September 26th!